I have a sunroof also, i didn't know that was option but it was already there. I called Costco today, apparently the dealer gave me the wrong info about the cash card. The $500 was already taken off the price as a discount, since they gave me the wrong info so the dealership has to come up come with something to make up for that cash card. They are really good to deal with. Actually, mine is Premium plus as well. No Floor liners, but i got tinted windows, One armor (for 3 years). Salesman said at first $44k before tax, so i counter offer to 42k plus i want one armor on top of that. Also waiting for $500 Costco card. I think i got a good deal! How much did you end up paying? What's the MSRP? I just refinanced from 8.99% APR from GMC. I have two options .75% APR for 36 months or 1.35% APR for 48 months. I chose .75% APR, that's way better than what i anticipated from FCU. Yaaay!! The loan officer said just because i have excellent, excellent credit. We are in Nevada. I bought my truck in Las Vegas. Congrats to you and enjoy your new truck! From where we live, it is practical to have a truck. My first choice is 2019 Traverse, then GMC Acadia, but i guess I let my husband talked me into getting a truck for family travels, because he wants his Chevy Colorado Zr2 for off-roading only. So, both of us drive my truck. I will do the same as soon as I'll get the first bill. With stackable rebates we were able to use our Costo membership, which they took $500 off plus we get $500 Costco card in the mail. Also having a Costco Membership, extended warranty was offered to us for $2,300 instead of $3,000, but we didn't take it. I'm planning to refinance it before the first payment. I'm glad i join in this forum, i would have waited 3 payments before refinancing, like the finance guy said. Well, i thought 42k was great maybe i could have lowered it to $40k my initial price i wanted to pay, but my husband kept telling me, "I don't think they will do that". So i opted to ask for more stuff. Lol. Two salesman told me i wanted to take everything, maybe i wanted to take their blood too. Ha ha! When i haggle, i mean it! New truck owner here! 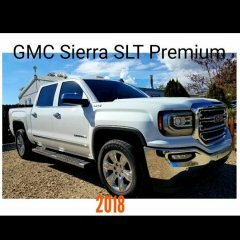 I just wondering if I did a great deal with our purchase with our 2018 GMC Sierra SLT Premium package. We bought a new truck yesterday from the first dealership went to. The MSRP was $56,000+ almost $57k. 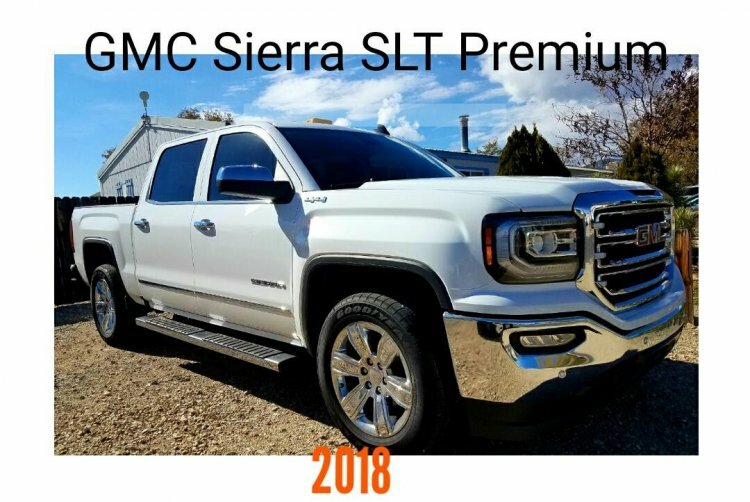 I did not have a trade-in, we got it for $42,000 plus i haggle to add 1armor (3 years exterior paint, and interior protection)-$998, plus we also get a $500 Costco card, those are not included in $42k price. Basically, with all the added stuff it is like getting it for $40,500. The only issue i have is that I have 843 credit score, at first the sales person said if we finance it through GM we will get additional $1000, but the APR will be 6.99%. When we're ready to sign the financing of around 15k on the paper it says APR 8.99%. They told us to wait until 3 months before we can refinance. I know i can get 1.99 APR somewhere else. How much did you pay for yours?